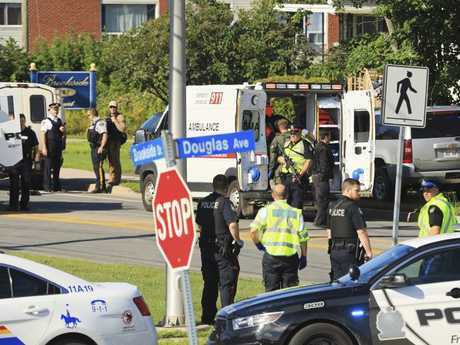 AT least four people have been confirmed dead after a shooting in Canada. 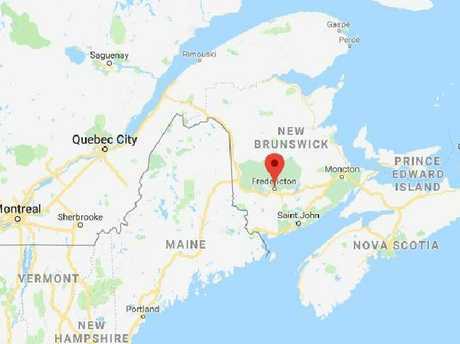 The incident happened in Fredericton, the capital of the Canadian province of New Brunswick, with police saying they now have one suspect in custody. 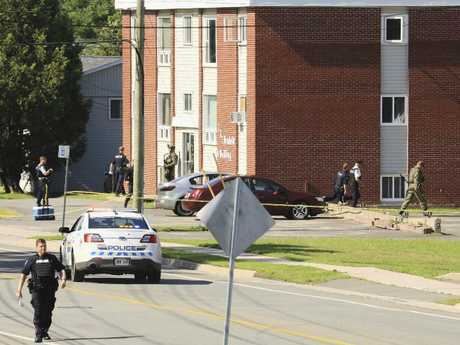 Fredericton Police said that 48-year-old man is currently being treated for "serious injuries" related to the shooting incident. Global news reported that one of the dead officers was Robb Costello. They reported his partner, Jackie McLean, as saying she was told of his death this morning. Ms McLean said they had been together for four years and that Costello had two adult daughters from a previous relationship. Police said the two civilians who were killed were a man and a woman. The reason of the shooting in the capital of New Brunswick province was not immediately known. Police have confirmed that two of those fatally wounded were local police officers. Fredericton is a city of roughly 58,000 people. Of the four people killed in this morning's shootings on Brookside Drive, two were Fredericton Police officers. No names are being released at this time. Please appreciate this is a difficult time for their families and our colleagues. We will provide more info when we can. Robert DiDiodato, who lives on Oakland Avenue, which connects to Brookside Drive, said he heard a series of "firecracker" sounds. "With the tempo, it might've been a gunshot," he told CBC. 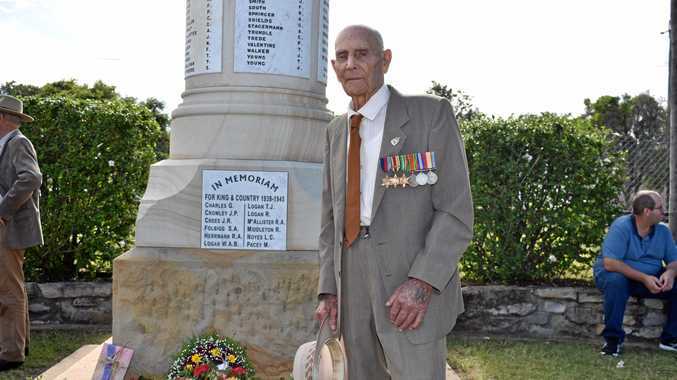 "It was sort of like a pop, pop, pop, pop," Mr DiDiodato said. "I heard about 15 shots over a 15 minute period. Then I heard another sound that had a different pitch to it. I thought it was a rifle, but I don't know." About five minutes later, he could hear similar noises near his home. "Doors are locked and everybody's inside," he said. Please continue to avoid the area of Brookside Drive between Main and Ring Road. An incident has resulted in at least four people killed. More information will be available when we can confirm. Several police, firefighters and paramedics are at the scene, and Mr DiDiodato said emergency services were evacuating houses. The CBC says people have started to be escorted to safety by police. David MacCoubrey, who lives in Fredericton, said he heard about 20 shots and was hiding on his kitchen floor. He awoke in his apartment on Brookside Drive around 7am local time to the sound of three gunshots about 10 metres from his bed. Mr MacCoubrey said his apartment complex had four buildings in a square, and it sounded like the shots were coming from the middle of the complex. He said police have been searching the complex, and he'd been sitting away from windows. He said police searched his apartment. Canadian Prime Minister Justin Trudeau has tweeted about the incident. Awful news coming out of Fredericton. My heart goes out to everyone affected by this morning’s shooting. We’re following the situation closely. In 2014, another mass shooting in New Brunswick led to the deaths of three Royal Canadian Mounted Police officers and the wounding of two more in Moncton. 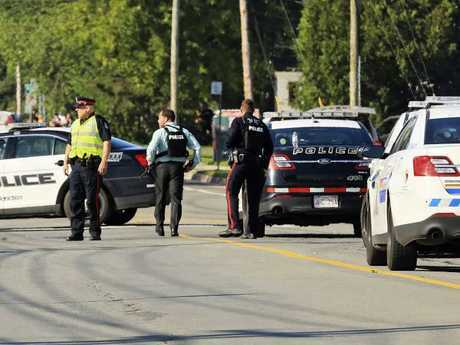 At the time, the incident was one of the worst of its kind in Canada, where gun laws are stricter than they are in the US and deadly attacks on police are rare. But a proliferation of weapons has led to an increase in gun crimes in recent years. Last month, a gunman walked down a busy Toronto street, killing two people and wounding 13 before turning his gun on himself. The Globe and Mail reported gun violence had soared in Toronto over the summer, with 228 shootings that killed 29 people and injured at least 150. In March, the Canadian government admitted offences involving firearms had increased as they tabled a bill to strengthen gun control. The government reported 2465 violations involving firearms in 2016, a rise of 30 per cent from 2013. The Canadian Parliament is currently debating the new laws, where an applicant's background would be checked entirely, rather than just five years. Gun retailers would also be required to keep records of their firearms inventory and sales for at least 20 years.